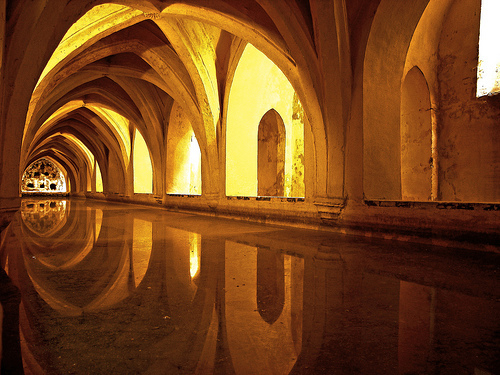 One of the best things to do in the historical city of Seville is to take in the centuries of history it has to offer. Apart from the amazing food scene and festivals Seville has to offer, it’s also got an array of beautiful landmarks and plazas, and there’s no better way to learn more about the city than wandering through the streets and discovering some of Seville’s best monuments. Is the clock tower that is connected to the magnificent cathedral in the center of Seville. What’s interesting about this monument in Seville is that it was constructed from the leftover minaret that was part of a mosque that was built there during Muslim rule. Instead of knocking it down completely, it was left there and built upon once Christians had control again. Next to the grand Gothic style cathedral, La Giralda really stands out as something unique in the city and offers a little peek into a very different time period of Seville. 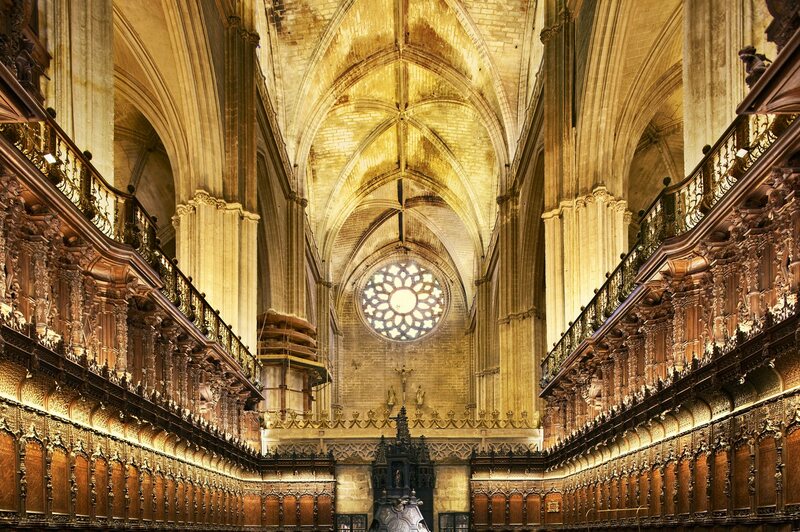 Is one of the biggest and most important cathedrals in all of Europe, and there’s no wonder why. Simply walking along the outside of it will let give you an idea of its impressive size and presence within the city. Take a step closer and you’ll see the amazing detail and effort that was put into this magnificent building. It’s by far one of the most impressive monuments in Seville. If you’re looking to cross the river, do so on the Puente de Triana. Not only is it the most well-known bridge in Seville, but it will also lead you right into the heart of the eclectic neighborhood of Triana. After you cross the bridge and just before you explore the streets of Triana, take a moment to walk down Calle Betis, which will offer a spectacular view of the beautiful Puente de Triana. Is a beautiful twelve-sided building that used to serve as a watchtower. The name Torre del Oro, which was built in the 13th century under Muslim rule, is said to have originated because the tower used to be covered in gold tiles. Nowadays, it’s a nice stop to make along the street known as Paseo de Cristóbal Colón, where you can climb up to the top and have a look at the naval museum inside. Perhaps the most stunning monument or place to visit in Seville.Which is another one of those historic pieces of Seville stemming from its period of Muslim rule. This royal palace was originally a Muslim fortress and later turned into a royal Spanish palace. It’s easy to get lost within the walls of this stunning palace with its indoor patios, intricate fountains and sprawling gardens. 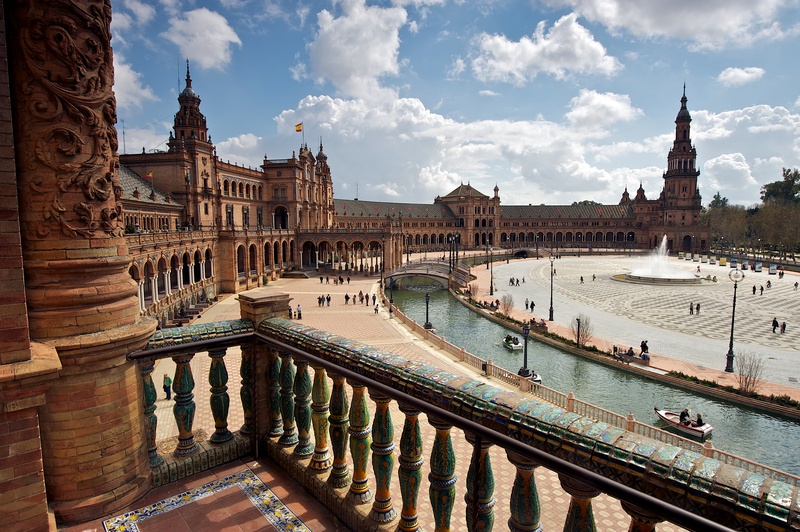 Finally, one of the best monuments in Seville is the breathtaking Plaza de España which is tucked behind the Parque María Lusia. This plaza is a complete burst of color and a truly stunning sight to be seen. The little moat that traces its way around the entire square passes under blue and yellow bridges, and visitors are welcomed to rent a little boat to row around the plaza. There is also beautiful tile artwork around the plaza depicting the many Spanish provinces as well as beautiful buildings set aside for government business.